Serj Tankian, a prominent Armenian-American rock musician, received a hero’s welcome late on Monday after arriving in Armenia to show support for the protest movement led by Nikol Pashinian. 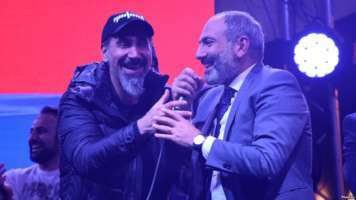 Tankian saluted the “beautiful revolution” as he addressed thousands of mostly young people in Yerevan’s central Republic Square, the main venue of massive anti-government protests led by Pashinian. He said the movement has not only paved the way for democratic change in the country but also enhanced the international standing of the Armenian people. “Just like you, I dreamed of this day for many years and am now proud of standing alongside you,” added the lead singer of the U.S. rock band System Of A Down (SOAD). Tankian has been very supportive of his campaign that forced Prime Minister Serzh Sarkisian to resign on April 23. Pashinian is widely expected to succeed Sarkisian as premier on Tuesday. 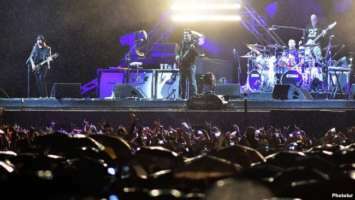 Sarkisian’s resignation came exactly three years after SOAD’s first-ever concert in Armenia which took place at Republic Square and drew tens of thousands of spectators. Tankian, 50, used that show to call on the Armenian government to end “institutional injustice” in the country. The world-famous musician likewise called for rule of law and a fight against corruption in Armenia during his previous trip to his ancestral homeland in 2011. He also deplored serious fraud that was reported during an Armenian presidential election held in 2013. 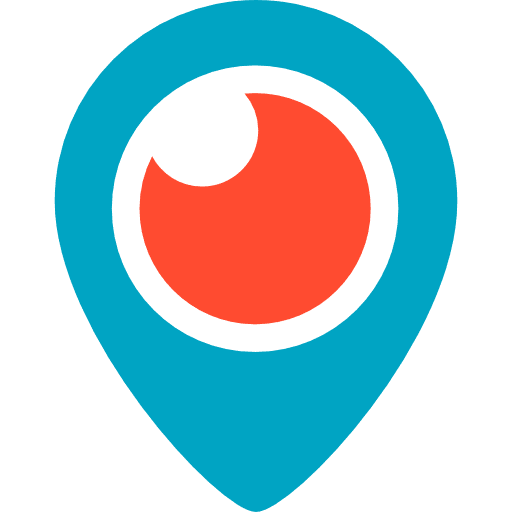 Together with several other prominent Diaspora Armenians, Tankian monitored last year’s parliamentary elections that were won by Sarkisian’s Republican Party.